Pictured is Curley Walters and his wife Doris. 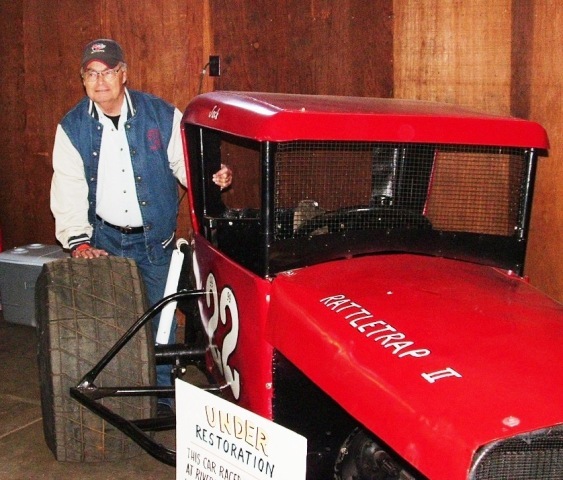 As Told by MS Racing Historian Jack Brown about Beth Runnels: When I was a kid, Mrs Runnels played the organ at our church, but our Sunday mornings were taken up with a rehash of what had happened Saturday night at Speedbowl Park. The 3B that Curley drove was owned by the Runnels' and Gordon Grogan. Mr Grogan was an auto upholstery man here in Jackson. The 3B number came from the Runnels' family first names Billy, Beth and Becky Runnels ... 3B's. She had toy cars painted up like each race car that ran Saturday night at Speedbowl. She had a little dirt track where she would reinact the races and wrecks from the Saturday night before. She could play a mean piano as well as the church organ.